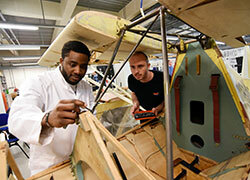 Professor Eileen Martin is our new Deputy Vice-Chancellor (Development). Professor Martin is one of the University’s three Deputy Vice-Chancellors and her diverse role includes responsibility for developing the University’s academic portfolio and the further development of the University’s collaborative local and regional partnerships. She will also lead on the University’s bursaries and scholarships, develop the lifelong learning and student recruitment strategies and oversee marketing and communications. Professor Martin is originally from Warrington where her National Health Service nursing and midwifery career, which spanned 22 years, began. She worked in a variety of critical care settings which included intensive care, anaesthetics and theatres, neonatology, renal dialysis, major injuries and burns and plastics in the Midland and North-West regions; subsequently moving into management as a senior manager in the National Health Service. Professor Martin moved into health education with her first tutor post at the Trafford School of Nursing, the hospital where the National Health Service was born; gaining her first and higher degrees from Manchester Polytechnic as a part-time student while working full-time and raising her family. Professor Martin progressed to Chief Executive and Principal of the Lancashire College of Nursing and Health Studies in 1992, which brought together six different Schools of Nursing. 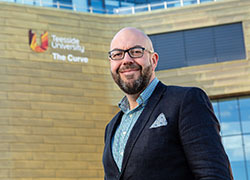 Following bids from different Universities, the College joined the University of Central Lancashire’s Faculty of Health & Social Care, with Professor Martin as Dean. She also chaired the Council of Deans for Nursing and the Allied Health Profession making a significant contribution to the development of policy. She later achieved the post of Pro-Vice-Chancellor at the University of Central Lancashire, focusing on teaching and learning and the student experience, UK partnerships, corporate oversight of higher education developments on the Burnley campus, and responsibility for the public affairs agenda. Professor Martin was also appointed as the first Executive Chair of Westlakes Scientific Consulting, in West Cumbria working with the Nuclear Industry. Away from work, Professor Martin has two children and two grandchildren, and describes herself as an ‘avid gardener’ with three allotments, and is a classical music lover, particularly opera. 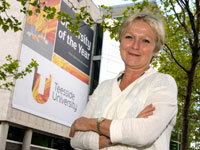 Professor Eileen Martin has been appointed new Deputy Vice-Chancellor (Development) at Teesside University. Teesside University has appointed a new Deputy Vice-Chancellor Professor Eileen Martin. 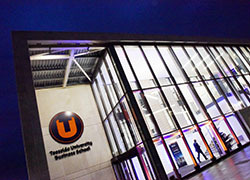 Teesside University has a new Deputy Vice-Chancellor, Professor Eileen Martin. Professor Eileen Martin, the new Deputy Vice-Chancellor at Teesside University talks about her new appointment at the University of the Year.